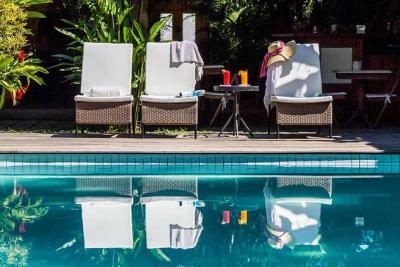 Lock in a great price for Pousada do Ouro – rated 9.3 by recent guests! Amazing sanctuary place. Perfect location. Loved the pool area. 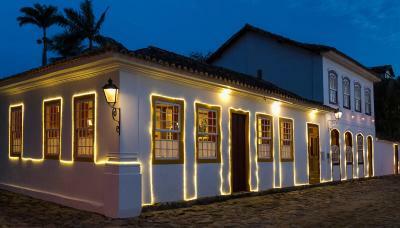 Beautiful facilities and amazing location in the old town of Paraty. Staff were all great and helpfull. 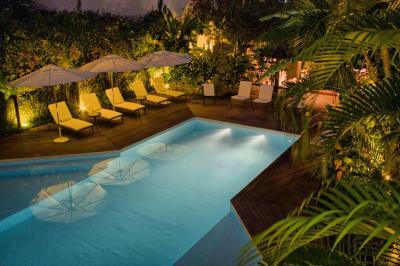 Nice pool area to relax after a day trip. 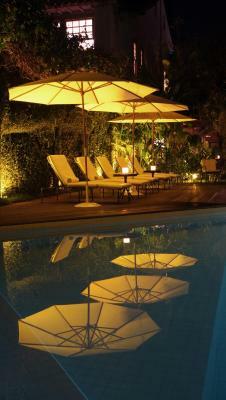 Our stay at Pousada de Ouro was just perfect. The pool is fine except it is not deep enough for someone of my height to do water aerobics. Probably fine for short people. The room was cute. The staff were all very friendly and helpful. Great location and accessible via car through the back! 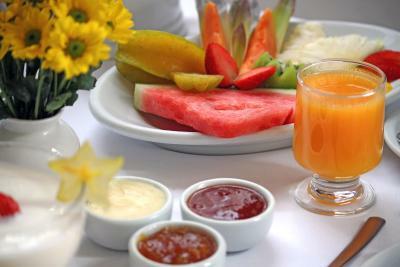 Perfect location, very friendly staff and authentic hotel, delicious breakfast. Would recommend this hotel to everyone! 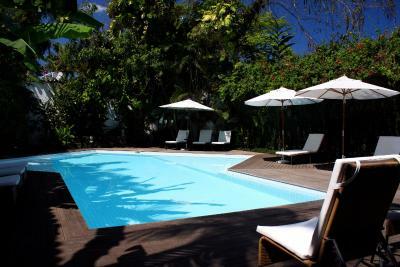 Lovely pousada, excellent location, nice pool for kids, helpful front desk. Obrigada! breakfast really nice, homemade youghurt. you could order omelete, egg etc. Nice pool helpful staff, great location, they can help with trips. my third time at this pousada and i still like it a lot. The staff was so helpful with finding is a boat to take out with an English speaking captain. 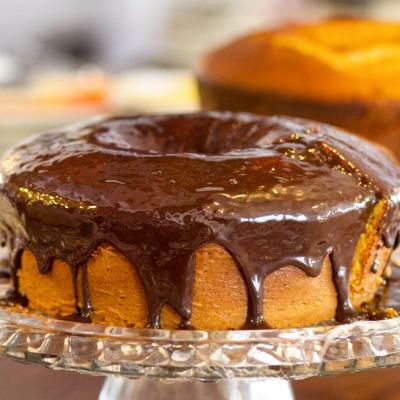 We would highly recommend this guest house! 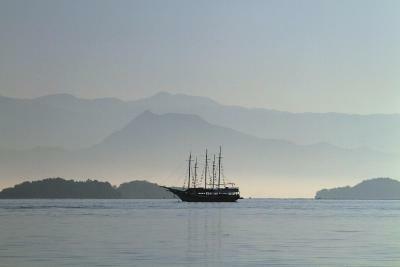 If we come back to Paraty, we would only stay here. The pool was such a treat and it was like we had it to ourselves as people were hardly swimming when we were. Room was comfortable and clean. Staff were always going above and beyond. We had an early pick up before breakfast began on our check out day. The staff made us a sandwich the night before to put in our mini fridge so we would not go without. 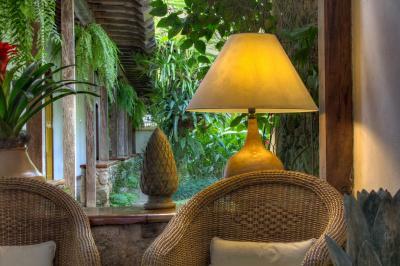 One of our top picks in Paraty.Pousada Do Ouro is a pleasant 18th century house in the historical region of Paraty. 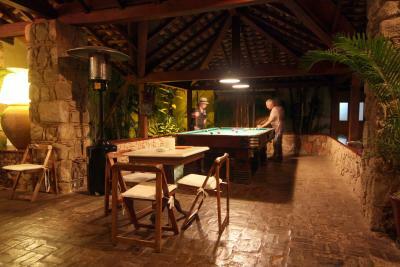 Just a 10-minute walk from Pontal Beach. 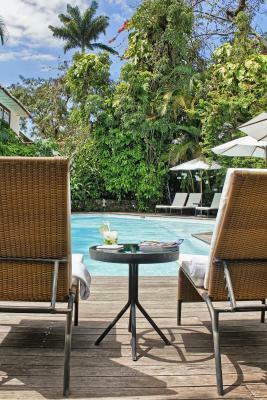 The guest house has an outdoor pool and views of the garden, and guests can enjoy a drink at the bar. 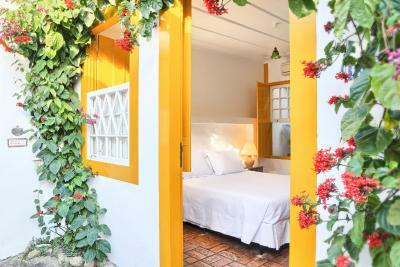 Rooms at the Pousada Do Ouro are painted with bright colors and have country furniture. 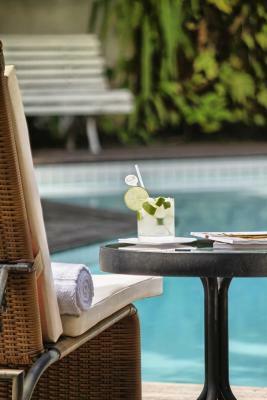 All are equipped with air conditioning, a flat-screen TV and a private bathroom. For your comfort, you will find free toiletries and a hairdryer. 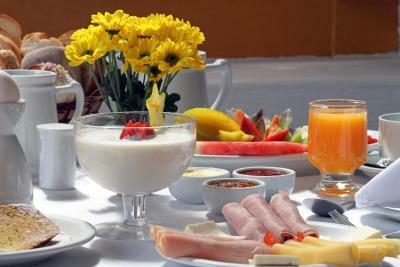 A daily breakfast buffet with tropical fruits, cold cuts and fresh bread rolls is available. 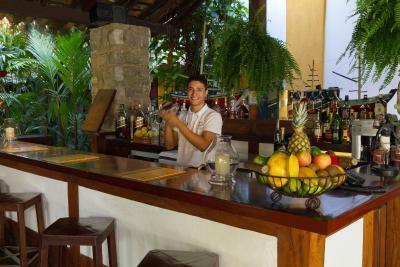 The hotel´s rustic bar serves a variety of exotic cocktails. 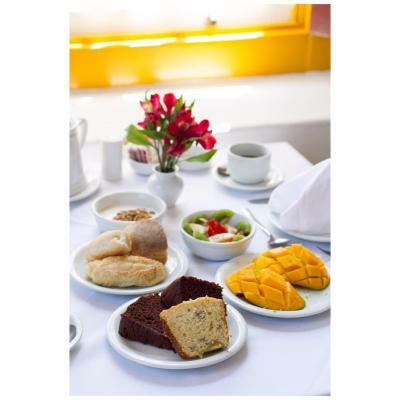 The hotel is conveniently located only 10 minutes drive from the main Bus Terminal. Free parking is available for guests with private transportation. 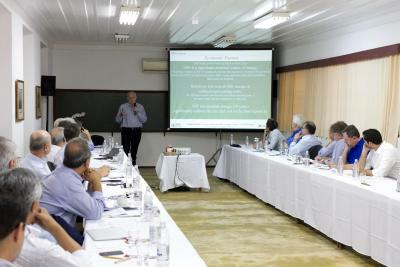 Paraty Airport is 1.3 mi from the property. 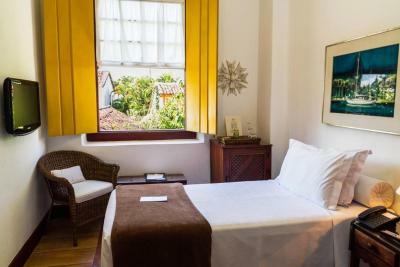 When would you like to stay at Pousada do Ouro? 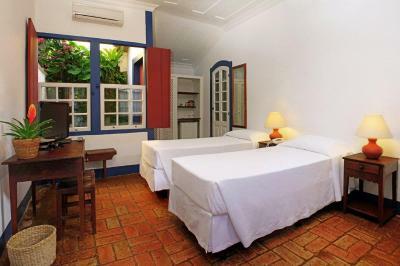 Located on an annex opposite the hotel, this air-conditioned room features a flat-screen TV, mini-bar and private bathroom with a hot shower. A cot may be arranged upon request and is subject to availability. Larger suite located on an upper floor. Larger suite located on 2 floors featuring a small lounge area. A child under 6 years of age can be accommodated for free if staying with his or her parents. 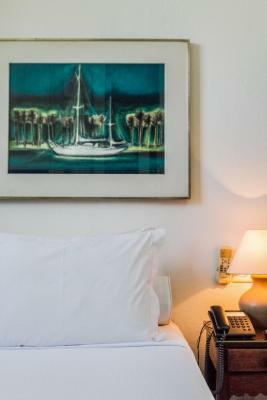 Located in an annex building, right in front the main one, this double room features a mini-bar and air conditioning. 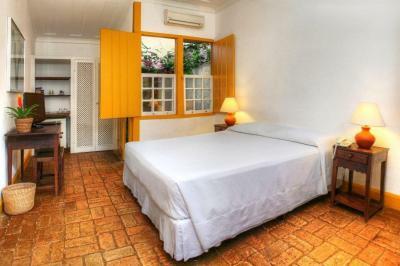 This 13 m2 single room features air conditioning, a box spring bed and satellite TV. Please note that this room is accessible only through stairs. This room is located near the property's entrance and guests may experience some noise and light disturbances. Please contact the property for further details. 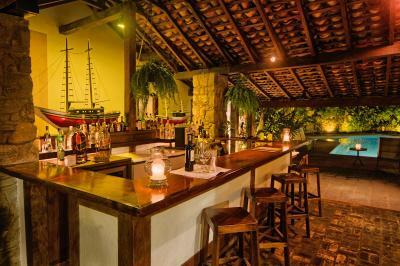 House Rules Pousada do Ouro takes special requests – add in the next step! 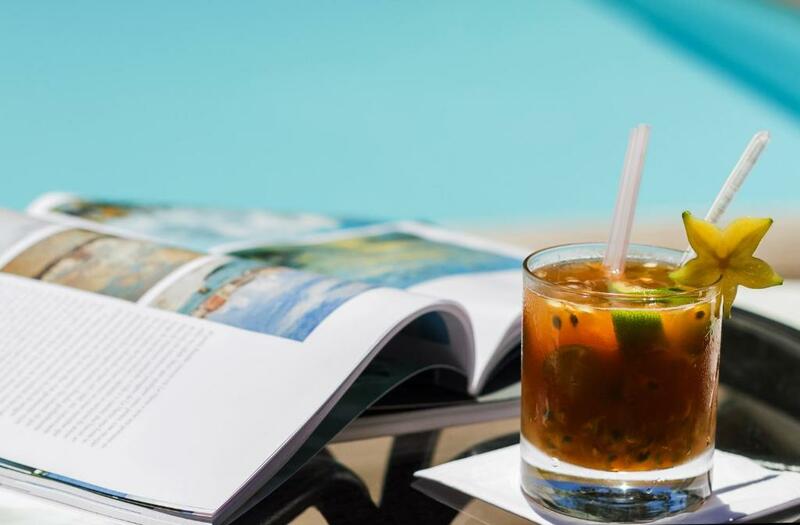 Pousada do Ouro accepts these cards and reserves the right to temporarily hold an amount prior to arrival. 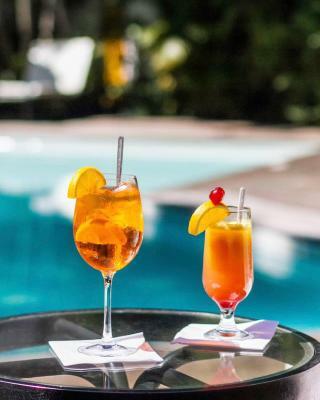 Please note that all standards rooms, all superior rooms and some of the special suites are located in an annex building named "Vila do Ouro ". This annex building is located in front of the reception building. Guests must specify the desired bed configuration to the hotel, prior the arrival. The parking facility, with entrance on Fresca Street, has limited spaces that are subject to availability. When staying with the parents, a child under 6 years of age can be accommodated for free in a Suite. In that case, a valid ID for the child needs to be presented at the check-in, otherwise an extra bed charge will be applied. Please note that suites may vary in size and décor. 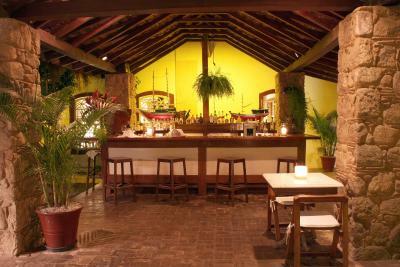 Guests who wish to check-out before their reservation check-out will be charged for the total amount of the reservation. Baby cots can be arranged upon request and availability. 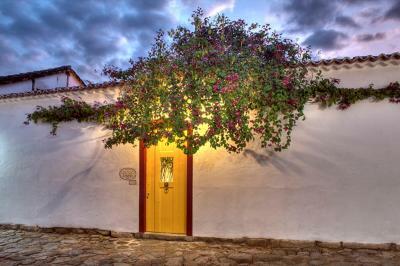 Please inform Pousada do Ouro of your expected arrival time in advance. You can use the Special Requests box when booking, or contact the property directly using the contact details in your confirmation. 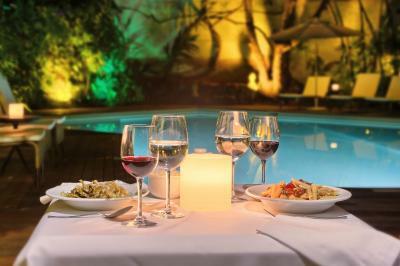 Great location and historic and charming building with all the comforts of a good hotel and helpful staff. We could also park our car in their garage. Room was quaint and cozy but felt it was confining and darker. Although they have a steam room/sauna we wish they had a jacuzzi. Some roads in Paraty flood during high tide. 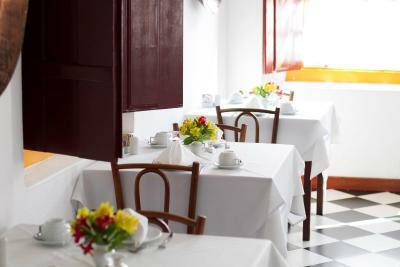 Call ahead to check the best route to the Pousada if you are getting dropped off. Very bad soundproof of the room, as you can hear the snoring of your neibourgh. Something must be done to fix this up, and the stay would be absolutely perfect. 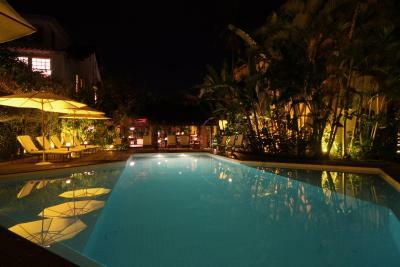 Good location, beautiful old building, great swimming pool, nice and helpful staff, amazing breakfast. Interconnecting door in oom was a bit noisy. Location is perfect, walking distance to restaurants & pier for boat trips. The rooms were spacious and comfortable. 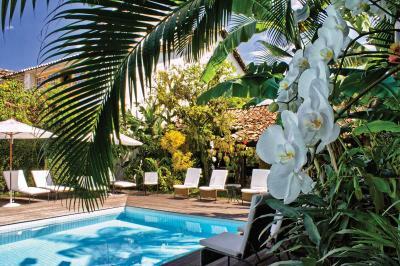 Pool area is amazing, every part of the pousada is nicely decorated, beautiful gardens and quaint. Staff were great. We loved our stay. Superb staff, amazing location and structure! The large door to enter the Courtyard side of rooms is extremely loud. I was out in the room next to the door. Everytime someone comes through, I hear it. At night, it can be quite jolting. It's looks cute but it's impractical. 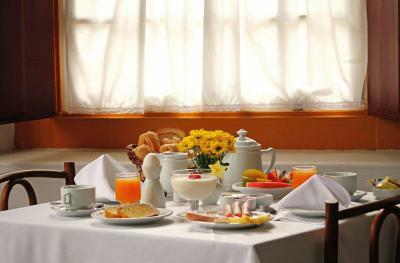 It'd also be nice to have a sign next to the breakfast room door, or tell guests where breakfast is. I looked everywhere like an idiot until I spotted it through this tiny door. 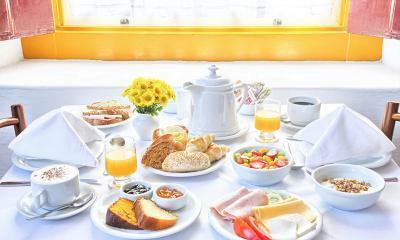 Fantastic Hotel and Breakfast. Great Location ! !